Pictures are of past works. This item is not in stock. This item is custom made to fit you. 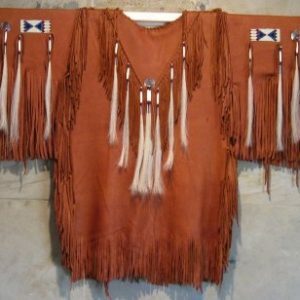 Genuine buckskin hand cut & sewn. 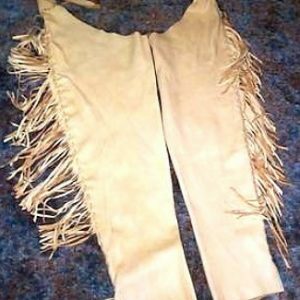 Choose suede side inside or outside, fringe or non fringed. Please have your measurements ready when you check out. 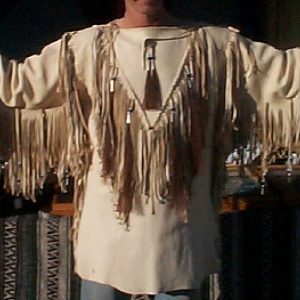 We need waist, outseam & inseam length. Email or call us for more info. 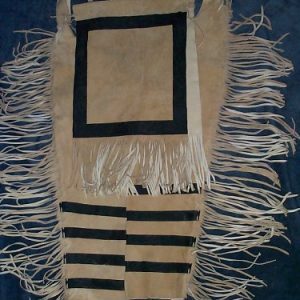 This item is hand sewn by an expert leather crafter who is not Native American & therefore, does not come with certificate of authenticity.